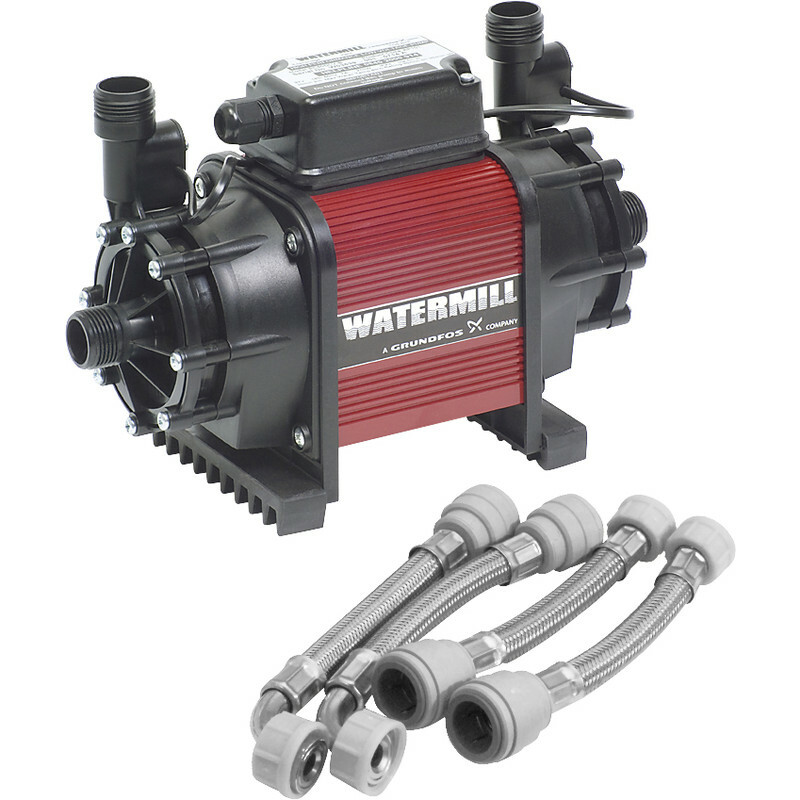 Complete with easy clean inline filters and braided stainless steel connection hoses. Positive head only. Twin Impeller Shower Pump 1.5 Bar is rated 4.1 out of 5 by 35. Rated 5 out of 5 by AR86 from Great pump. Great pump and easy to install. Rated 1 out of 5 by BmBm from What a load of noisy rubbish Noisy... And broke down after 6 months. Cannot handle Bath tub hand unit and drench head on one domestic shower. Don't bother wasting money and time on this product. To be fair toolstation will take it back and refund. Rated 2 out of 5 by Dazzler 47 from Good shower but very loud? Powerful shower with 22mm hoses, but very loud even with foam matting under pump !. Rated 5 out of 5 by akind123 from shower pump The new shower pump works fantastically and the delivery time was really impressive. Rated 4 out of 5 by Ian2011t from Easy to exchange Shower pump I bought this a week ago, exchanged it as our old pump packed up, luckily it has got similar pipe fittings. The only negative it is not as quiet as my last one. Rated 3 out of 5 by NickNacks from Seems to work well. Not had it long enough to know if it's reliable. Slightly noisy but not too bad. Rated 3 out of 5 by shahid2000 from Pump working fine but one supplied hose had a leak I got this fitted by a qualified plumber. He discovered that one of the supplied hoses had a leak. We replaced it with a hose from the old pump which was still working fine. There is no point getting a replacement because then I will have to pay the plumber to come in again and put the new hose in. This just shakes my confidence in the overall quality of the pump. It's fitted and working but not sure how long it will last.